The RMS216 GPS rack mount splitter from GPS Source allows up to 16 GPS/GNSS synchronization modules and receivers access to the GPS timing signal. 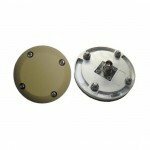 It is designed with dual antenna redundancy to keep timing and synchronization modules operating when a GPS antenna or cable fails. 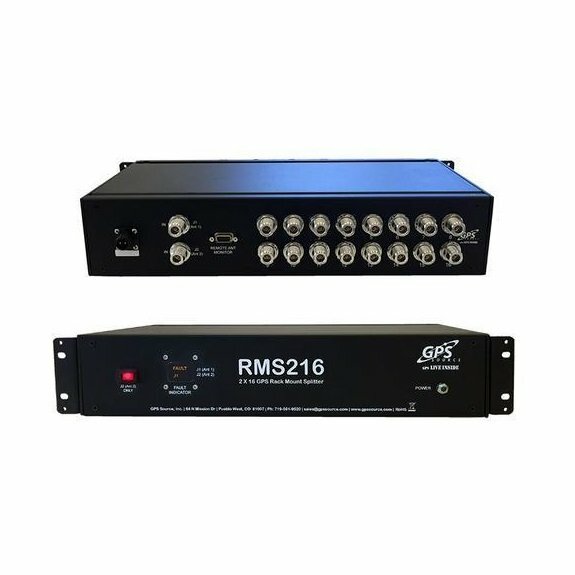 The RMS216 GPS rack mount splitter from GPS Source has an optional dual power supply feature that allows two internal power supply units to share the load. If one unit is not available (internally or externally), the other will seamlessly take over without any loss of power. It is perfect for many wireless applications. 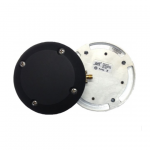 The ability of the splitter to switch antennas allows all connected GPS devices to remain fully functional in the event of an antenna failure, which is so important in a wireless environment. The rackmount is designed to power both antennas at 5 VDC. This rackmount has an internal switch, allowing it to receive and distribute distinct signals from two antennas. It does not combine the signal from two antennas, which would increase jitter. 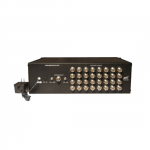 GPS rackmount splitters are commonly used by cellular, timing, and test labs utilizing GPS. They are also becoming increasingly popular with small cells, base stations, and distributed antenna system (DAS) solutions. The RMS216 can fit into existing 19 inch rack mount solutions making it easy to install in most infrastructures, however, 21 inch ears are available for larger installations. The RMS216 GPS rackmount splitter from GPS Source comes with many available options and can be ordered through TerrisGPS. If you would like to learn more about this product, please feel free to contact us using the Request Pricing form.